We wanted to give our members an experience, not just content. Today we’re excited to share the latest feature we’ve added: in-lesson discussion boards throughout all Rigging Lab Academy courses! This means that members are now able to engage and ask questions on each individual lesson of a course rather than just in a single discussion board at the end of the course. Once you’ve logged into a course, you can access the in-lesson discussions feature through the “Discussions” button that appears on each lesson. Notice the “Discussions” button highlighted in red below. Clicking on this button will allow you to check out what discussions are already taking place so that you can either join in on the conversation OR ask a new question. Our team will automatically be notified of any new questions that are posted. Members can typically expect a reply within 24-48 hours. With the new in-lesson discussion boards feature, you have the ability to include images, links, and even upload files in your posts and replies. The intent of this new feature was to open a two-way dialogue that fosters an engaging community throughout all of our individual courses. It allows our members to meet and interact with each other in real time while also granting them direct access to our instructors and collaborators. Change is a beautiful thing! Head over to the Rigging Lab Academy Course Site, login to your courses, and start asking questions. Then be sure to head on over to our Facebook Page and let us know what you think of the new feature.  Such as; the first ever full-length rescue training DVD, 'Tower Rescue', released in fall of 2005. As well as a series of scenario-based rescues ranging from cave rescue to cliff rescue. PrevPreviousA Quick Pulley Comparison… They All Rock!